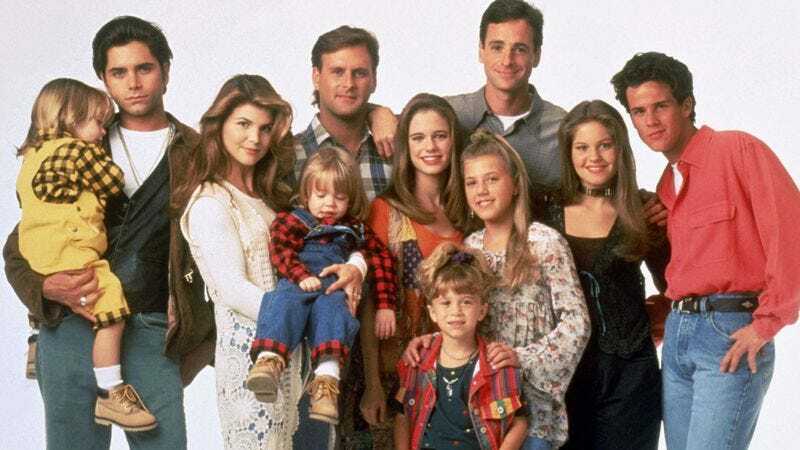 Now that the mystery of “Whatever Happened To Baby Michelle?” has been solved, it looks like Fuller House is ready to open its doors to viewers as well as Kimmy Gibler. Netflix has just announced that the 13-episode sequel series will be released in its family-friendly entirety on February 26, which is far enough into the new year that you will have already given up on your resolution to get out more and just settle in for the comedy to be mined from an offscreen death and single motherhood. Fuller House will prove that you can go home again, because it appears your father has somehow managed to hang onto that enormous Victorian in the city with the country’s highest real-estate prices. But that’s precisely where the recently widowed D.J. Tanner (Candace Cameron Bure) will retreat to raise her three children with the help of her sister Stephanie (Jodie Sweetin), and the incorrigible Kimmy (Andrea Barber), who has a similarly incorrigible teenage daughter. Now, by our count, that makes the house only one person fuller than it was at the beginning of the original show, so we suppose there will be an Airbnb storyline at some point to ensure the house is always at capacity. After all, John Stamos, Bob Saget, Dave Coulier, Lori Loughlin and Scott Weinger are only signed on for guest appearances, which presumably means they’ll only show up at the most inopportune times, or whenever the Beach Boys are in town. Here’s a video with the voices of the family, to announce the eventual appearance of the family.